Wood is one of the most sought after and commonly used materials in the entire world, and you could use almost any type of wood to make furniture and other functional objects out of. Would can add a different degree of style, class, warmth and beautiful emphasis to your home, giving at a more homely and almost earthy feel. There is nothing more graceful and deep than a recliner chair with a handsomely finished wooden frame and wooden armrests and legs. The Wood is easy to clean and maintain by just wiping with a damp cloth and regularly polishing. 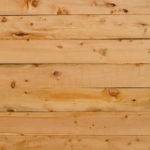 Wood will not tear or scratch as easily as fabric or leather. A wooden frame and armrests make a much more durable and stronger recliner. You can add any form of decor with wood. Wooden finishing will blend in perfectly with any home or office style and background decor. Wood finished recliners are not very hard to come by and there are many options both budget-friendly or more luxurious available. You can choose the type of wood finishing that you desire. Wood gives a more natural and earth-friendly feel to your home. Would do not retain moisture or stains such as fabric. Wood finishing is always of the best quality and craftsmanship. A Roll Arm, which is a more traditional and transitional style for a natural shape. The Transitional English Arm that has a formal silhouette, a distinctive low-lying arm, and usually in a recliner with very deep seating. A track Arm features clean and contemporary lines with square edges and no curves, ideal for smaller spaces. The Flair Arm is deep, elegant and features easy going and cozy lines and shape, while this arm type usually sits very high. The Slope Arm has an open and elegant form with deep curves and very strong lines for a more glamorous look and feel. Plush and padded puffed up Cushioned Arms gives you the ultimate indulgence for comfort and relaxation, usually on an oversized and plushly stuffed Reclining Lounge Chair or Sofa. The Wooden arm, saved for last has a more elegant and clean sleek design and can be finished off with any color wood in any shape or form. Ash, a tough hardwood with a straight grain and light brown color. 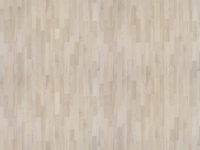 Beech wood, a block of hard, strong and heavy wood with a fine grain and light color. 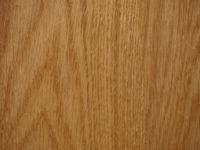 Oak, very hard wearing, heavy and popular, with open wood grain markings in either a grey/brown color or a reddish tint. 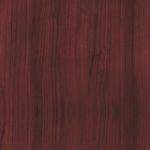 Mahogany is a more luxury wood that is found in a rich brown to a deep red color option depending on its age. Maple is heavy and durable, as well as moisture resistant, and comes in a pale color with natural swirls and twists in the grain. Walnut is a strong hardwood with a straight grain in a rich chocolate brown, although lighter colors are available. 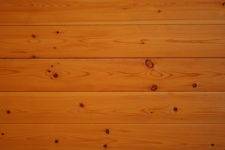 Pine is lightweight, affordable and has a pale finish to it. Fiberboard is inexpensive and wood that is manufactured by breaking down other woods into fibers, bonded together with wax and resin to create a denser piece of wood that is more durable. Veneer is a thin piece of wood used to cover or finish off a solid wood or steel piece, usually used on more high-end furniture types. Get the best of both worlds with the Flash furniture Swivel reclining chair that has wood frame armrests covered with plush padding. A full recliner and Ottoman set, that has a swiveling function. The wooden arms are plush and soft with leather and foam upholstery. A knob adjusting recline function for easy recline, and very versatile ottoman. The ball bearing swivel base allows you full swiveling function that is tough and long lasting. A stunning maple wood base and armrests with smooth floor guides for additional mobility. It is upholstered in soft and comfortable leather and polyurethane. Filled with a fire retardant foam. The Riverside Contemporary offers you a simplistic and current styled modern reclining chair with smooth and graceful wooden armrests and a comfortable yet classic style. An easy and simple to use two position reclining system that you can just push back into, without an unsightly lever. Comes in a contemporary green fabric upholstery filled with plush and comfortable foam. The frame and armrests are manufactured from a smooth and rich light colored wood. Stylish and elegant, with a small space-saving size, ideal for a flat, office or smaller home. There is nothing more comfortable and ideal for your health than the Zero Gravity recline function. Features a very durable and sturdy steel frame that can handle up to 350 lbs in weight with ease. Extra large size with padded and cushioned headrest for comfort and support. Fully padded seating and excellent lumbar support with a side cup holder and a flexible bungee suspension system to give you that zero gravity weightless experience. 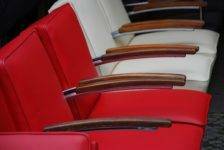 Full recline mechanism and lovely wood finished armrests. Easy locking levers adjust and lock the chair into any position that you may desire. The Big and Tall from LCH is a lush and highly comfortable extra large office chair, with fully padded wooden armrests and a very strong and durable wooden frame. Upholstered with strong and comfy bonded leather in a rich light brown color. A higher back for better lumbar support and a soft thick padded waterfall seat for a more comfortable seating experience with less pressure on your back and legs. This chair is wider and taller for larger individuals and can carry up to 400lbs in weight. An adjustable pneumatic gas lifting system so that you can adjust the height of your chair. Full tilt back recline mechanism with locking system for better control. Ergonomic design with adjustable lumbar support. A solid wood frame and armrests, the armrests are padded for comfort. A fully reclinable Glider and Ottoman chair set with a solid Cherry wood frame and armrests. This stunning piece of furniture is upholstered in a smooth and velvety soft fabric, available in a camouflage print, red, mocha, purple or black and white color options. Features a gliding and rocking function with an additional ottoman in similar style and upholstery. The frame and armrests are made from durable and elegant solid Cherry finish hardwood. They are fully cushioned with padded armrests for superior and plush comfort. A smooth gliding system offers quiet and easy operation. The perfect addition to any home or office area. A plush and comfortable contemporary styled recliner from I Love Living. Upholstered in a dark grey polyester fabric that is soft and luxurious with smooth finished wood armrests and legs. A sleek and modern styled recliner with polyester upholstery that is soft and easy to clean. Filled with plush foam for luxury comfort. Stylish and sleek wooden armrests than run down to form the legs in one durable and sturdy frame. A two position comfortable reclining mechanism that is easy to push back without having to use a lever. A tighter seat design for the firmer and more supportive and long-lasting setting. The fabric is 100% pure polyester in a neutral color to suit any home décor perfectly. The recliner I have chosen are all luxury brands with gorgeous and unique styles, as well as some exceptional features that you will find highly effective and relaxing.